If you’ve been following along on Northern Colorado Speaks very long, you can probably tell we’re a little obsessed with NoCo food. We love small business and local eats and when they come together for an outstanding restaurant experience, we’re all about it. So, when you’re looking for dinner date ideas, check out The Best Seasonal Menus From Fort Collins Restaurants or Best Date Night Restaurants in Fort Collins. But when you’re looking to expand outside of a classic dinner date, check out the options below which range from charming to downright spooky! Learning to cook a meal together will offer the perfect bonding opportunities. And you’ll get to take home new skills to show off during stay-at-home dinner dates! 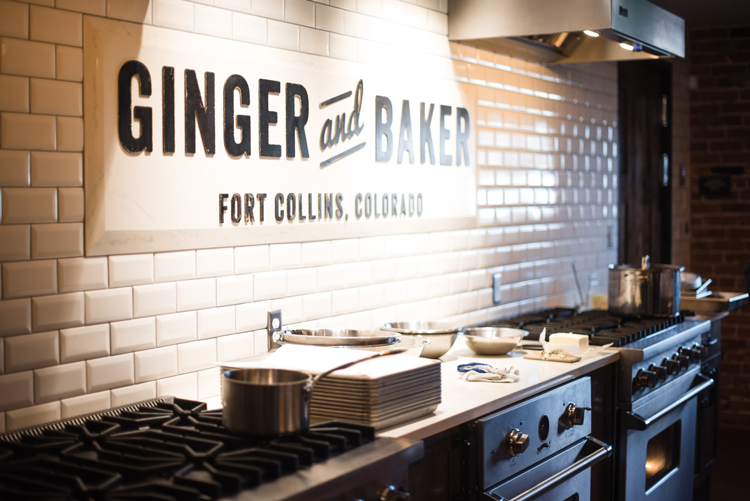 The Ginger and Baker Teaching Kitchen is as picturesque as it is educational. Inside their River District building, they offer classes in mixology, pie-ology, pizza-ology and more. The Cooking Studio Fort Collins is another local option in the heart of downtown Fort Collins. 2. Cuddle at the drive-in. Open seasonally, Holiday Twin Drive-In has been Northern Colorado’s drive-in movie theatre for more than 30 years. Both screens play a double feature every night and FM stereo sound is broadcast to your car radio for a truly charming experience. Check the website to see which movies are playing for your next date night! 3. Catch a movie inside at The Lyric. If you’d prefer to watch a movie inside, we recommend The Lyric. With a movie lineup that features both Hollywood hits and indie flicks, and a theater complete with comfy couches and a full bar and restaurant, it won’t be your everyday movie date night. 4. Make your way through the Fort Collins Foodie Walk. 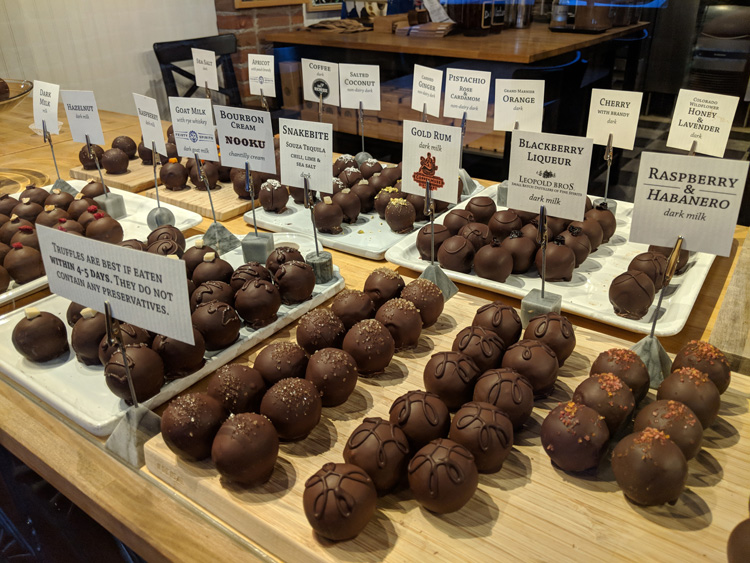 The Fort Collins Foodie Walk comes to the streets and businesses of downtown Fort Collins every third Friday of the month. Featuring 12 of Old Town’s finest culinary and food-themed shops, you can travel to each one and enjoy free samples along the way! Pick up a brochure at your first stop and be sure to get it punched at each business. If you make it to all 12, you can enter to win prizes. Free samples and treats often include cheese from The Welsh Rabbit, chocolate from Nuance Chocolate, tea from Ku Cha House of Tea, and fudge from Kilwins Chocolate & Ice Cream! 5. Attend a summer series. During the summer, date nights are practically built into Fort Collins culture. Music series like The Lagoon Summer Concert Series and Downtown Sessions Concert Series bring music, food, drink and fun to the Colorado State University campus and Old Town, respectively. But those are just two of the options! To see all the Northern Colorado series taking places through October, check out 13 Northern Colorado Summer Concert + Movie Series to Attend This Year. It includes both music and outdoor movies! 6. Embark on the Fort Collins Ghost Tour. Perfect for group dates, the Fort Collins Ghost Tour travels through downtown Fort Collins and into the dark, storied basements of local businesses. You and your date will hear legends and FoCo lore covering ghosts and prisons, hangings and history. Fort Collins Tours also offers a Speakeasies & Spirits Tour for guests 21 years and older, a Horse & Buggy Ghost Tour, and three other spooky options. Check the schedule and book your adventure online here. If you’re avoiding a classic dinner date in Fort Collins, the second most popular option is visiting a local brewery. Our hometown is the headquarters of more than 25, so there are plenty to choose from. To get the rundown on all of them, check out our guide The Ultimate Guide to Fort Collins Craft Breweries which features a map so you can track down the nearest to your starting point. 8. Take a free brewery tour. You’ll have to plan ahead for this one, but it will be worth it. 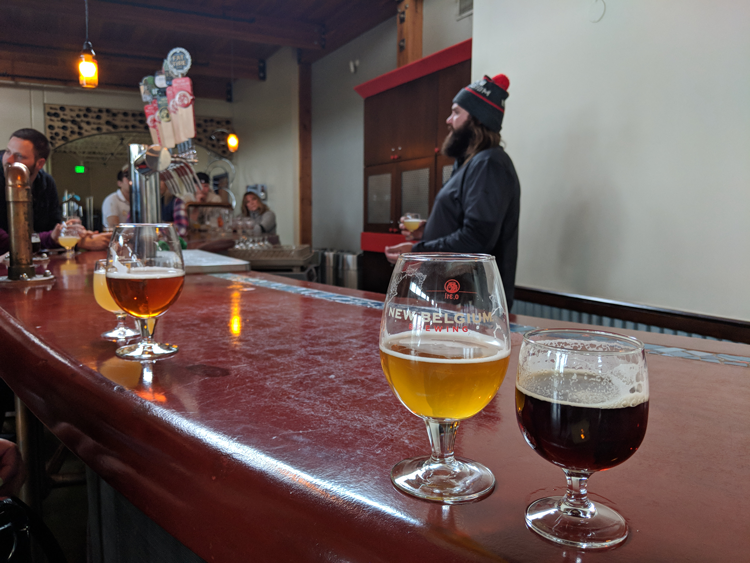 New Belgium Brewing offers free tours of their entire campus. From the brewhouse, through the Cache la Foeder, to the canning facility, and down the employee slide, you’ll get to experience the New Belgium culture while sampling plenty of free beer. Reservations for these tours begin two months in advance and they fill up quickly! Check out the tour calendar to find openings. Odell Brewing Co. also offers free tours and these need only be reserved 24 hours in advance. Featuring, beer samples, local legends and beer education, it’s a tour you’ll want to do again and again. 9. Visit the Museum of Art. Museum of Art Fort Collins is located directly adjacent to Oak Street Plaza in one of the prettiest, historic buildings in downtown Fort Collins. In 2018, rotating exhibitions include laughter-inducing awkward family photos, beautiful paintings and nostalgic cartoons. Check out the website to find out what you’ll see when you visit. 10. Rent bikes through the Fort Collins Bike Share. Fort Collins Bike Share provides more than 42 stations throughout Fort Collins where you can rent bikes via the Pace app, a program of Zagster. At each location, you’ll find bikes available for just $1 per half hour. And all you have to do to ride is download the app! New users can use the code BikeFC for $10 of free ride credit. Each bike comes with a lock and can be left at any public bike rack in town! So hop on your rented bike, purchase a helmet at Visit Fort Collins or Maxline Brewing, and cruise with your date to local breweries, downtown shops, or the Spring Creek Trail. For more information on where you should ride, check out The 10 Neighborhoods in Fort Collins with the Highest Bike Scores. 11. Listen to jazz at Ace Gillett’s. Ace Gillett’s is a speakeasy-style bar and lounge located beneath the Armstrong Hotel in downtown Fort Collins. 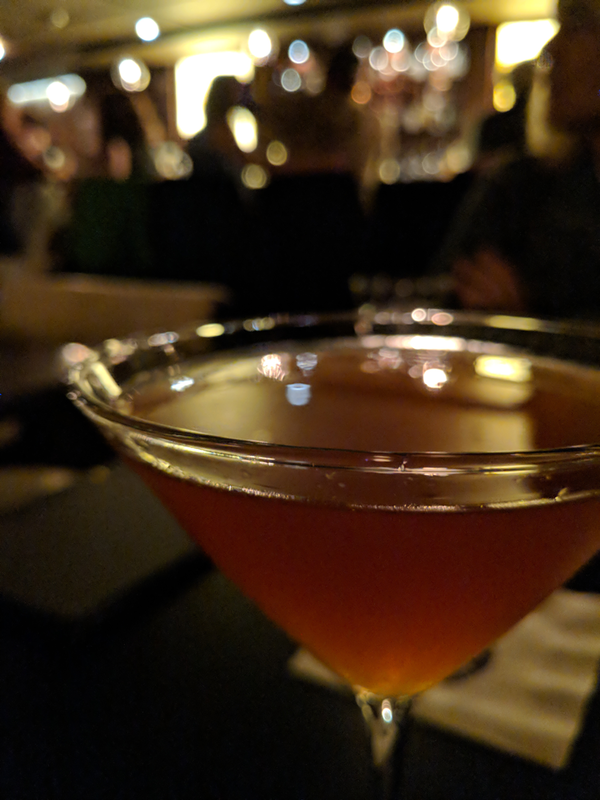 Featuring some of the city’s best and most innovative cocktails, shareable plates and free live jazz Thursday through Sunday, it’s the ideal spot for date night. 12. Eat local at the Fort Collins Food Truck Rally. Sure, this may count as dinner, but it’s a seasonal dining experience like none other. The Fort Collins Food Truck Rally is a summer series that brings Northern Colorado’s best food trucks to City Park every Tuesday through September 25, 2018. From 5:30 p.m. until dusk, you can buy foods from your favorite businesses and enjoy live music from a new headliner every week. See the music lineup and learn more on the website. 13. Listen to live music in downtown Fort Collins. Just within downtown Fort Collins, there are more than ten venues to enjoy live music! From larger spots like the Aggie Theatre to intimate places like The Armory and even frequent free shows at Magic Rat Live Music, you’ll never struggle to find a local concert. For details on FoCo’s most popular venues, check out The Ultimate Guide to Fort Collins’ Most Popular Music Venues. 14. Enjoy a cheese and chocolate tasting. 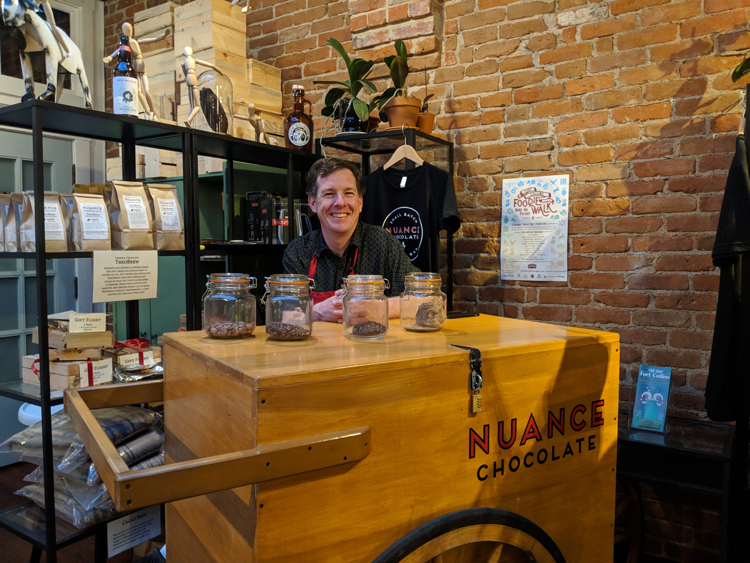 The Welsh Rabbit Cheese Shop and Nuance Chocolate are located right next door to each other on one of our favorite corners in Old Town. This creates the perfect environment to prepare for a little cheese and chocolate pairing. Stop in each shop, purchase your treats and enjoy them in a nearby park! If you need wine to complete your pairing, you can head just around the corner to The Welsh Rabbit Cheese Bistro and enjoy a glass. 15. Watch a show at the Lincoln Center. The Lincoln Center is Fort Collins’ largest event venue and, as such, it hosts some of the biggest shows in town. From nationwide comedy tours to concerts and Broadway plays, their lineup includes a little something for everyone. See what’s coming up on their calendar and buy your tickets today. If you have a favorite date spot in Fort Collins, let us know in the comments below!